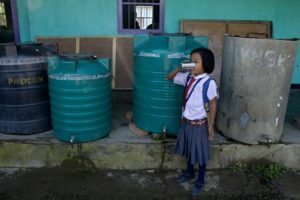 A girl drinking water at a school in Kakching town, Manipur. Source: WHO/SEARO/Monirul Islam. One in about six urban Indians live in slums, defined by UN Habitat as a place characterised by lack of durable housing, insufficient living area, lack of access to clean water, inadequate sanitation and insecure tenure. Over 70% of slum households get their water from a tap, but just half get water inside their homes. The National Sample Survey, 69th Round, (2012) showed 94.2% of slum households got water from stand-posts, bore-wells, or bought bottled water. But what this hides is that slum dwellers get just 5% of the urban water supply. In other words, they get less than a third of what the non-slum population gets. This too comes mostly from ‘informal’ sources such as local bore-wells linked to pipeline networks. In terms of quantity, access and quality, people in slums get much less water — for which they have to spend about 20 minutes a day, as compared to the non-slum population. Urban water supply is iniquitous. Table 1: Extent of contamination in water supply to urban slums. 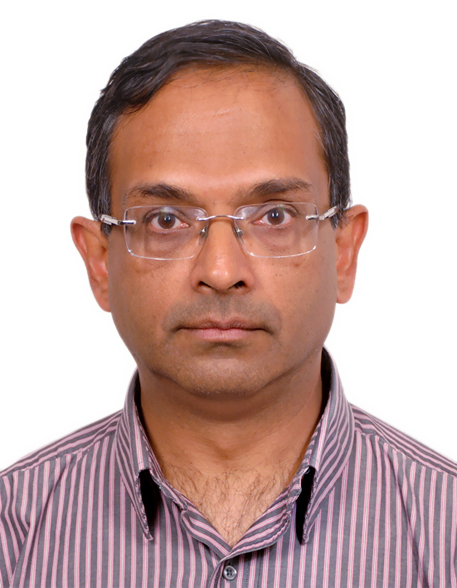 Studies by WaterAid and others show while water is relatively free of contaminants, especially faecal coliforms, at source, it picks these up in leaky pipelines, taps and at home (Biraja Kabi Satpathy, 2014). USAID’s Health of the Urban Poor programme collected and tested drinking water samples from slums in four cities — Delhi, Bhubaneswar, Jaipur and Pune — using the H2S test that indicates faecal coliforms. Table 1 shows the test results: Samples from homes were much more likely to be contaminated than those taken from the source. 1. The slum population is at significant risk of water-borne diseases such as diarrhoea, cholera, jaundice and typhoid. 2. Combined with poor sanitation and hygiene, this section is also much more vulnerable to acute respiratory diseases as compared to the non-slum population. 3. This burden of disease translates into higher expenditure on health, morbidity and mortality. Diarrhoeal diseases are the second leading cause of death for children under 5 (Puss-Ustun and Corvalan, 2016). A study in all anganwadi centres in Lucknow showed the major causes of death and disease burden to be: pneumonia (23.4%), diarrhoeal disease (20.9%), and malnutrition and anaemia (11.4%) (Awasthi and Agarwal 2003). Esrey’s (1996) study suggests that the high faecal-oral should be attributed to haphazard, rather than planned urbanisation. Better water supply, sanitation and hygiene can reduce diarrhoeal diseases by 37.5%. This is a preventive agenda for action for the urban local bodies that are tasked with water supply and sanitation in towns and cities. Along with providing services, these agencies and non-government organizations can make significant changes by improving hygiene practices of water storage, hand washing and latrine use.